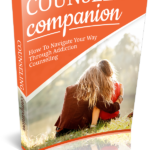 This book is intended for both the person who is addicted and for those who have a loved one with addiction. We’ll look at the signs of a problem and address the various drugs that are most likely to cause dependence. Then, with the help of experts, we’ll give you some strategies that you can try to get you back on the road to a drug-free life. 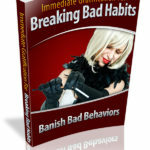 The work demanded in finding and challenging the reasons for our self-defeating behaviors and negative emotions can take time. Occasionally, this is a luxury we don’t have. Still, what can we do when the habit springs up? This book introduces a small selection of short-term strategies. I have to accentuate that they’re best used together. If used just by themselves, some of these can lead to repression, and force rudimentary causes to express themselves in another way. You’ll as well find that not all of these are applicable to all behaviors. Dabble with them, and discover which works for you as an individual, and for your certain issue. We will discuss how simply being well aware – mindful – of what is happening inside you is the beginning step to catching your habits as they come up. The more you do this, the earlier you’ll catch yourself in the cycle. And then: Breathe. Changing your breathing immediately changes your mental, physical and emotional state! For instance sitting quietly and letting your breathing become more tranquil, slower and shallower can produce a calmer state within a couple of minutes. Deep breathing leans towards producing more excitement. Shallow and slow breathing brings forth calmness. Getting skilled at altering your state through changing your breathing boosts your self-confidence in your state-management power so that unwished moods become just that – unwelcome. Not fearful, or endangering, nor in some way suggestive of personal weakness or inadequacy. Having the breathing skills to change such unwished-for moods puts you in charge of yourself. By the way, while you are able to really quickly alter your state using breathing methods you as well need to change your thinking patterns to see to it that the change of state carries on. If you only change your breathing but go forward with the same old thoughts the unwishedfor moods will quickly return. Watch your breath, a lot of teachers say. And what was so automatic, so unconscious, becomes a means for us to center ourselves and recover control. It doesn’t matter where in the habit cycle you are. Maybe you watched yourself reaching for the bottle of whiskey. Perhaps you’ve already drank your first glass. Perhaps you’re already vomiting. It doesn’t matter. Just take a couple of breaths – and be as aware as you are able to of them. Experience them. What does the air feel like as it goes into your nostrils, your mouth? What does it feel like moving down your airways into your lungs? Experience it, be mindful of it – and you’ll discover that your breathing gets naturally deeper. Just hesitate, and breathe for as long as you need. In doing so, you break up and weaken the mental-emotional patterns that underlie your behaviors, without the need to examine them. By itself, this was adequate for me to arrest many unwanted behaviors. If I felt the habit energies come up, I’d simply hesitate, and breathe mindfully till the urge disappeared. The Sigh Breath is a really easy breathing method for releasing tension in your chest, diaphragm and neck areas. It can be an excellent way of managing the symptoms of anxiousness or panic. It’s a moderate (instead of very deep) inhale through the nose accompanied by a fairly prolonged and slow exhale through the nose or mouth – as a prelude to letting your breathing become slower and shallower.